The winner of our March Culinary Challenge, Lake Braddock Secondary School, saw their winning dish, a Chicken Shawarma, introduced onto the FCPS lunch menu in middle and high schools in November. 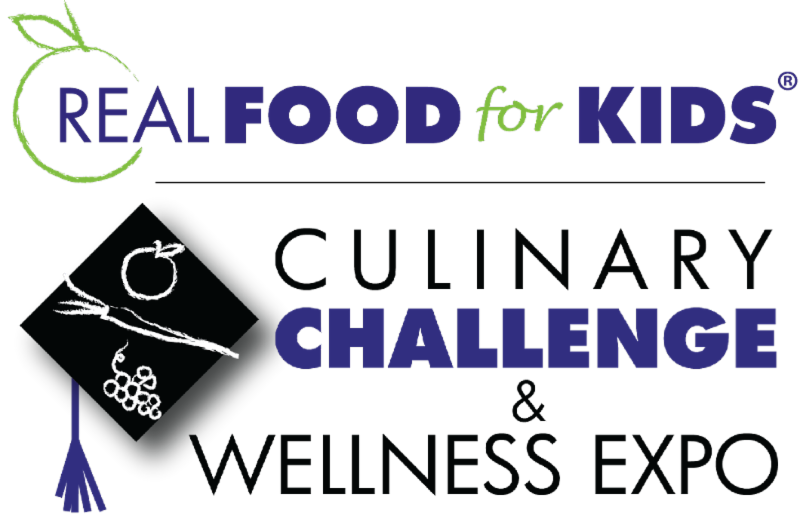 The 2018 Culinary Challenge will be held March 17. Save the Date! We launched our Healthy School Advocacy Training in April. At the November training, one of our participants initiated a proposal to bring her Head Start students through the new salad bar at their school, supported by a private donor with the anticipation of bringing it to other FECEP schools in the county. Last summer, we launched the Lunch Room Collective to raise the profile of school meals as public health issue, working with a diverse group of school stakeholders to advance programs and policies leading to systematic change in the way we feed our students. 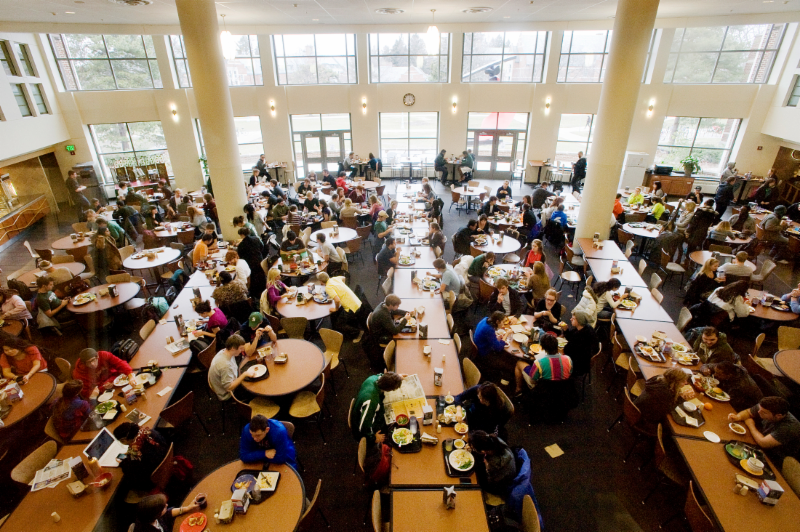 The LRC has received a planning grant from the Northern Virginia Health Foundation to develop a study on lunch room environments and their impact on eating behaviors. In July, we received a Business Partner Award from the Virginia Association of Teachers of Family and Consumer Sciences, a result of our work with FCPS FACS on our Culinary Challenge. We will be presenting at the 2018 VATFACS Conference this summer to share more about this collaboration. In September we organized cooking classes at Hybla Valley ES with a local chef to teach parents how to create healthy meals from foods provided from Capital Area Food Bank. We hope to expand this program in the new year. In October, we celebrated Salad Bar 5000, an event recognizing that through the work of the Whole Kids Foundation, the Chef Ann Foundation, the National Fruit and Vegetable Alliance and the United Fresh Start Foundation, who have placed salad bars in over 5000 schools in the United States. 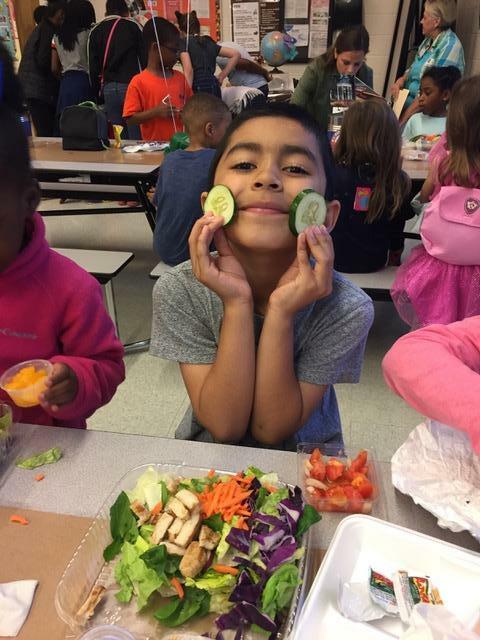 Fairfax County was selected as the site of this celebration due to FNS Director Rodney Taylor’s work to place Real Food for Kids Salad Bars in all 141 elementary schools. Also in October, Herndon Elementary hosted our 6 th Food Day event which reached 850+ students plus teachers and staff with an energetic program once again featuring our signature “Big Salad” with celebrity chef David Guas. We have since received funding to produce a Food Day Toolkit to provide schools with the tools to develop their own Food Day event and spread enthusiasm for healthy choices throughout school systems. In November, we were invited to participate in grant through the Virginia Department of Education, Food and Nutrition Services, to build the culinary capacity of FNS directors and managers throughout the state. That training will begin this summer. Also in November, Real Food for for Kids was among the finalists for the 2017 Fairfax County Public Schools Community Partner of the Year. These successes would not have been possible without the support of our funders, sponsors, champions and cheerleaders. Thank you for an amazing 2017. We are looking forward to an even more productive and impactful 2018. More on some of these stories below. A School Food Survey, administered by Food and Nutrition Services in collaboration with Real Food for Kids, has been sent all middle and high school students. The purpose is to gather feedback from students – our primary school meal consumers – on meal options and their lunchroom experience. Your students’ participation is important to both FNS and Real Food for Kids. This feedback will make the difference between having a complete vs. a limited understanding of student perceptions of the school meals program. This survey is the first of its kind to proactively engage students in this conversation. Please encourage your middle and high schoolers to take 5 minutes to complete the survey. The link has been sent to their unique FCPS email account , which can be accessed by phone or computer. Responses are completely anonymous. Real Food for Kids has received funding from the Northern Virginia Health Foundation to study the impact of the lunch room environment on eating behaviors in students and examine strategies to maximize time and the overall lunch experience. This round of funding from the Northern Virginia Health Foundation focused on collaborations, a movement that has been building in the social sector to address complex issues. Collaboratives align around shared vision and values, where stakeholders can leverage their combined reach to drive systems change. The goal of The Lunch Room Collective is to advance programs and policies leading to a systematic change in the way our school systems feed students. This spring, Real Food for Kids will offer a free Food Day Toolkit on its website for schools interested in creating their own event. Food Day is a Real Food for Kids’ signature event – a kind of food “field day” encouraging elementary school students to explore real food and physical activity and encourage those habits at home. 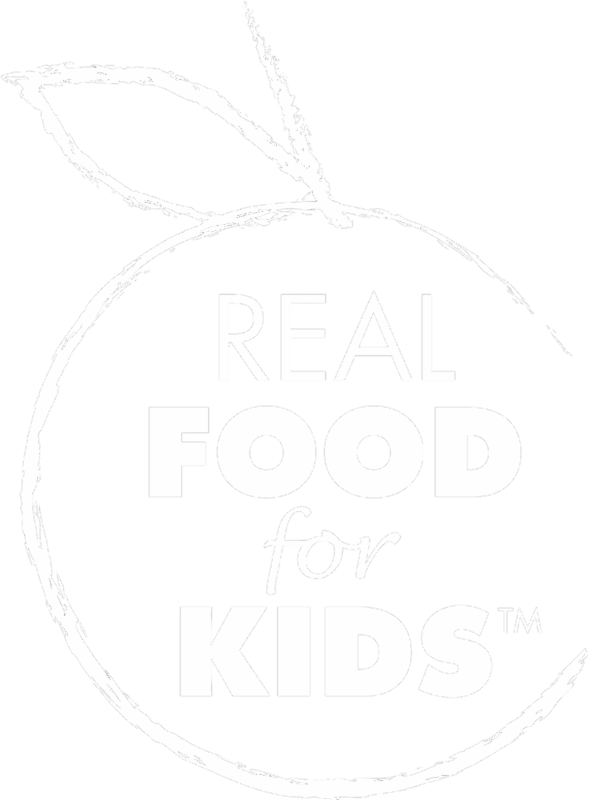 Although RFFK produces only one Food Day per year, we have numerous requests from schools to bring the event to them. The Toolkit will enable schools to replicate this impactful event using a successful model and available resources. The Toolkit will be available in May 2018 which will allow schools to begin advance panning for an October event. Real Food for Kids has secured funding from an individual donor to support a pilot program for FECEP/Head Start students at Shrevewood Elementary School. The program will provide the opportunity for students to serve themselves from the school’s new salad bar twice a month from January through June in preparation for Kindergarten when they will use the salad bar regularly. Head Start classrooms in FCPS currently have meals delivered by Jeffrey’s Catering which is served family-style in support of skills development and socialization. Students’ salads will supplement these regular meals. Head Start nutritionist Melissa D’Angelo and Shrevewood Assistant Principal Ashley Castillo paved the way for the pilot which was initiated by Head Start teacher Grace Kim. Kim had attended Real Food for Kids’ Healthy Schools Advocacy Training in November where the idea took root. She worked with RFFK Program Director Mary Porter to shape the proposal and connect with specialists from Food and Nutrition Services on logistics and cost. Head Start students received Salad Bar Etiquette Training along with other Shrevewood students to be prepared. “Our hope is that we can scale this program to other schools with FECEP programs.” said Porter. “It’s such an organic way for the littlest of our student to feel part of the full school culture and to have exposure to fresh fruits and vegetables they might not regularly see. Plus it will make the transition to kindergarten that much smoother. "I’m very excited to be part of this important initiative," said Nanette Henderson, who is funding the pilot, "and hopeful that this early exposure to the salad bar will give [these students] the confidence to keep using it once they join “the big kids” in the cafeteria on a regular basis"
SNAC is a coalition of middle and high school students working to spread awareness about nutrition in our schools through discussion and shared initiatives throughout the county. SNAC's ultimate goal is to grow the council to at least one representative from every high school and middle school across FCPS, to advance initiatives reaching as many students as possible, and to collect data and ideas from diverse sources. Your student can make a difference at their school by keeping and exuding a positive attitude about school food, joining SNAC, communicating the coalition's efforts to classmates, and maintaining a healthy lifestyle for themselves! Learn more about SNAC . SNAC representatives were present at the last FCPS Student Advisory Council (SAC) meeting in January, where student delegates from each high school in FCPS came together to evaluate potential menu items for school cafeterias around the county. Run by Food and Nutrition Services, students moved through different stations to try new dishes like fish tacos and protein packs. Back at their tables they filled out a sheet ranking the samples and writing individual comments about their preferences. A resounding favorite amongst the new choices were the $1 cans of Perrier seltzer water. Many students cite food testing day as their favorite meeting all year and this year’s tasting was no exception — the air was constantly abuzz with praise for the new selections as well as conversations about the improving awareness about nutrition in our schools! This is one example of how the work of SNAC is impacting school food. Contact SNAC to learn more. Welcome to Our Newest FCPS Salad Bar Schools! Rolling Valley, Crestview, Shrevewood, Clearview, and Groveton! Which Schools are Coming Up? Ravensworth 1/24; Cherry Run 2/1; Floris 2/7; Lemon Road 2/14; Deer Park 2/22; Marshall Road 2/28; Fort Hunt 3/7; Forestville 3/14. Please see our September Newsletter for more information on how Salad Bars are implemented and how you can help! Real Food for Kids congratulates Food for Others , the 2017 Fairfax County Public Schools Community Partner of the Year. 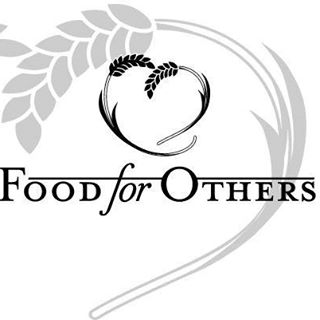 Since 2012, Food for Others’ PowerPack Program has provided regular weekend food bags at 29 FCPS schools has been a resource to FCPS for emergency food assistance. Real Food for Kids was honored to be among the finalists for this award which also included the Assistance League of Northern Virginia , Britepaths , and the Rotary Club of Bailey’s Crossroads . ﻿ Real Food for Kids’ began as part of the Wolftrap Elementary PTA wellness committee in Vienna, VA. Our growth and success were recognized by the Rotary Club of Vienna with a contribution to RFFK at their December 13 luncheon at Westwood Country Club. “We are Vienna-grown” said RFFK’s Mary Porter, accepting a check from Rotary Member A.J. Oskuie. “We are honored to be recognized by the community where we have our roots and continue to work.” Other recipients included Marshall Road ES’s STEAM Program, the Kilmer Center, and Concord (Masonic) Lodge 307. RFFK will present its Healthy Schools Advocacy Training at the Virginia PTA Annual Conference in Virginia Beach, January 27-28. The two-day conference will feature leadership and strategy training for PTA officers and will coincide with PTA Day at the Virginia Assembly. Sapna Hencinski, State Coordinator for Action for Healthy Kids will present on the AFHK Parents for Healthy Kids tool, detailed below. Details and registration link at the Virginia PTA website . RFFK’s monthly meetings are held each month on the third Thursday from 11:00 AM to 12:30 PM at Gatehouse Administrative Center, Room 2082. Anyone interested in our work is welcome to join us – in person or via conference call! If you’d like to be added to our meeting reminder list, email mporter@realfoodforkids.org . Action for Healthy Kids has worked with parents across the country for more than a decade to improve the nutrition and physical activity of kids at school and at home, and they’ve learned the most effective ways to engage parents in school wellness along the way. AFHK has taken that knowledge and expertise and teamed up with the National PTA to launch Parents for Healthy Kids , an initiative designed to provide parents and parent-led school groups with the support they need – including an online hub and community, school grants, and trainings – to become effective change agents in school and student health. Within this incredible resource you’ll find hot topics, strategies and ideas for recess and PE, school meals and snacks, health education and promotion, healthy fundraisers and celebration and creating healthy learning environments. Lots of inspiration for your new year! School Grants Available! Due March 14. Action for Healthy Kids is proud to work with schools nationwide to promote Every Kid Healthy Week™ - an annual celebration of school health and wellness accomplishments. Every Kid Healthy Week brings attention to the nation's problem of childhood obesity, but more importantly, to its solutions: sound nutrition, regular physical activity, health-promoting school programs and successful engagement of families and communities. Join this webinar to learn more about Every Kid Healthy Week and how you can host an event and join the national movement. This webinar will be archived for those unable to attend the live session. Action for Healthy Kids and schools across the country will celebrate Every Kid Healthy Week during the last week of April (April 23-27, 2018) and throughout the month with events that encourage students to eat better and be active every day. Check out the EKH Week page for all the info , including helpful planning resources and tips. Action for Healthy Kids of DC/MD/VA wants to assist schools with their Every Kid Healthy Week celebrations. They are providing mini grants to selected schools ranging from $100-$300, depending on the size and scope of the event. Please contact Sapna Hencinski to request an application or for additional info. Applications are due by Wednesday, March 14th. Meet the new Director of Food and Nutrition Services for Montgomery County in RFKM’s January Newsletter . Real Food for Kids Montgomery Executive Director Lindsey Parsons was profiled in the December issue of Montgomery Magazine along with five other local nonprofit advocates. Anne Arundel County has added names, flavors and full nutrition information on their web site for all a la carte items. Complete the form at this link to sign the CSPI petition to stop the current administration from delaying and weakening policies that are reducing sodium in school meals to healthier levels for our children. Proposed delays and halt of further reductions equate to 84 more teaspoons of salt per year in school meals. High salt intake is linked to high blood pressure – even in kids – that can lead to heart disease and stroke. The administration should support – not roll back – the progress schools are making to provide childre n healthier meals. A position statement from the Society for Behavioral Medicine reviews studies showing that healthier school meal standards have reduced plate waste and increased consumption of healthier foods. Five-Point Plan Will Combat Hunger for Students in Kindergarten Through College. DC Central Kitchen’s Mike Curtin, a member of the RFFK Advisory Board, was profiled in National Geographic. New infographic from The Center for Science in the Public Interest and Voices for Healthy Kids Action Center on school district wellness policies with statistics on components such as school marketing, nutrition education, and physical activity and education. A toolkit with strategies for school communities on how to engage parents in creating healthy schools from the Centers for Disease Control. New information from Center for Science in the Public Interest on consumer behavior and sales data that demonstrate how many vendors have found healthy vending to be profitable.